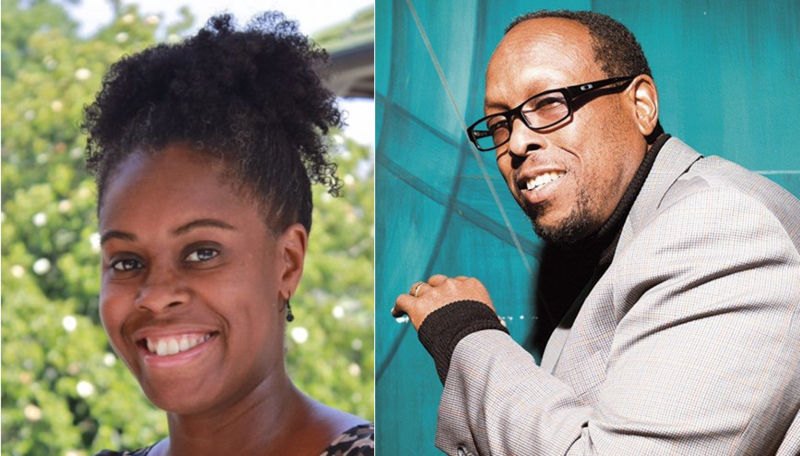 Meet the DukeEngage-Chicago Leaders: Mark Anthony Neal, Ph.-D. and Kisha N. Daniels, Ed.-D.
Dr. Marc Anthony Neal is a James B. Duke Professor of African & African-American Studies as well as the chair for the Department of African & African-American Studies at Duke University. He is the Director for The Center for Arts, Digital Culture and Entrepreneurship (CADEC) and the Co-Director of Duke Council for Race and Ethnicity (DCORE). Dr. Kisha N. Daniels is a Professor of Education and a part of the MAT faculty at Duke University. During her academic tenure, she was Associate Professor of Education Leadership and held joint appointments as Director for the Office of Community Service Learning and Office of Faculty Professional Development. MAN: I was a working class kid born and raised in The Bronx; a first generation college student, though my mother and I were in college at the same time. Twenty-five years ago, I was among the early cohort of scholars who began to write about Hip-Hop culture: That’s the Joint: The Hip-Hop Studies Reader (now in its 2nd edition), which I co-edited with Murray Forman, remains a key text in the field. For the past eight years at Duke, I’ve had the privilege of co-teaching “The History of Hip-Hop” with multi-Grammy Award winning producer 9th Wonder (Patrick Douthit). KD: My background is in Education Leadership – specifically looking at how curriculum and instruction work for and/or against students who are marginalized. Most of my research has focused on the use of service-learning as a culturally relevant pedagogy to create student leadership, content knowledge and community engagement in urban spaces. Why did you create the DukeEngage-Chicago program? MAN: DukeEngage-Chicago provides a unique opportunity to combine the work and research of a scholar and practitioner of pedagogical theory with a scholar working within the context of Black Cultural theory and production. That the program coalesces around Hip-Hop and urban education speaks to the compelling nature and timeliness of the project. KD: My “research self” is interested in seeing how pedagogy (as a construct in education) is transferable to other contexts (music, activism, sociology, etc.) and what it looks like as a practical application outside of the classroom. My personal self is excited about exploring a city whose history is vastly different from where I grew up (NYC), and seeing how Hip-Hop has been used to strengthen communities through youth development. What are you excited about doing in Chicago? MAN: I have long been a big fan of the so-called “Second City”; my daughter is currently a junior at the University of Illinois at Chicago where she is studying Art History. I look forward to spending time at many of the city’s museums, including the DuSable Museum of African American History and The Stony Island Arts Bank, and of course, getting as much deep dish pizza as possible from Giordano’s. KD: Eating! The food options in Chicago are amazing and much more diverse than what you expect of typical “tourist food.” Think way beyond deep dish pizza :-). There truly is something for everyone! What stands out about the organizations students will be working with? KD: All of the organizations are non-profits whose missions are to support and develop communities through a variety of methods. They speaks to the diversity of the city. Additionally, one of the organizations (Solidarity Studios) is directed by a Duke alum, who is also a DukeEngage alum. This offers us a unique perspective as we work to place and support students. Is there anything prospective students should know about you? KD: Student growth and development is dear to my heart, so I’ve spent a lot of time in my career traveling with students. I’ve traveled nationally and internationally with students, largely around presenting research (both undergraduate and graduate) at conferences. Additionally, I’ve taken service trips with students around the globe. As a professor, I find that this is one of the best ways to get to know the ambition, passions, and work ethic of students. It is a lot of work, but I wouldn’t trade a minute of it!